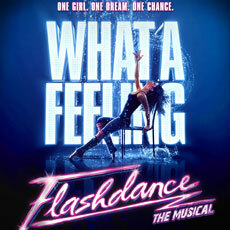 It’s hard to believe the pop culture phenomenon, Flashdance, is celebrating its 30th Anniversary. The story of Alex Owens, a welder in a Pittsburgh steel mill during the day and bar dancer by night, comes alive on the Hershey Theatre stage. It is an inspirational story of courage and determination through dance and song. “What A Feeling”, “Gloria”, “Manhunt” and “I Love Rock & Roll” are featured. Based on a book written by Tom Hedley (who also happens to be the co-writer of the original screenplay) and Robert Cary. Choreography is by Sergio Trujillo (of Jersey Boys and Memphis fame).